Know what to look for when you shop for a new car seat. When choosing a car seat for your child you want to make sure you pick something that will fit their size correctly. Here, we will show you how to choose the right car seat for your child, from infant to booster seat. Should I go by Age or Size? While you can use age as a general guideline, what you really need to use is your child’s weight and height. Car seat weight and height limits are usually listed on the car seat itself, most likely on the back or bottom; however, if you can’t find the information, contact the manufacturer for assistance. Most parents opt for infant seats when their baby is born as most models can accommodate newborns from 4 pounds and up; though if you have a tiny baby, you want to make you know the minimum weight limit as some car seats are only usable from 5 pounds. When you infant has grown out of the infant seat, you should move them into a rear-facing convertible car seat and keep them in that seat for as long as possible. In 2011, the American Academy of Pediatrics clarified its car seat recommendations to now advise parents to leave children in rear-facing car seats until they are at least 2 years old, or until they exceed the height and weight limit of their car seat. The longer your child stays rear-facing, the safer it will be for them. 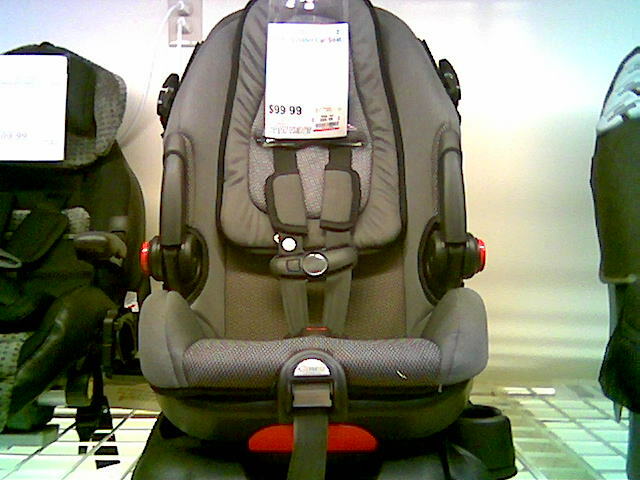 After your child has outgrown his or her convertible car seat, they can graduate to a booster seat. These seats use the car’s seatbelt to buckle them in, but position the seatbelt so it sits on the correct places (upper thighs and shoulders) on your child. Without a booster seat, adult seatbelts can sit across a child’s neck and stomach and cause major injuries. According to the Children’s Hospital of Philadelphia, booster seats reduce injuries in children 4 to 7 years old by 59% when compared to using a seat belt alone. As your child get bigger and older, you may be tempted to let them out of their boosters, especially if they are feeling embarrassed because their friends aren’t riding in “baby” seats anymore. You may even remember riding booster-free when you were a young child. But, as we all know, times have changed, and evidence shows how important car safety recommendations are. How Long Should Kids be in Car Seats? Make sure you keep them in a booster until they are 4’9”. This is the height when adult seat belts should fit them properly. And, once out of the booster, make sure they continue to ride in the back seat until they turn 13, as airbags can kill young children riding in the front. Do you have any questions about picking the right car seat? We’d love to hear from you in the comments below.